The Phi has completed her first year of school. She had her last day at her pre-school on Thursday. She had a great year with only one "i don't want to go to school" crying days the whole year. She made friends and PR Dad and I are amazed had how much she has learned. We made The Phi a deal awhile back. 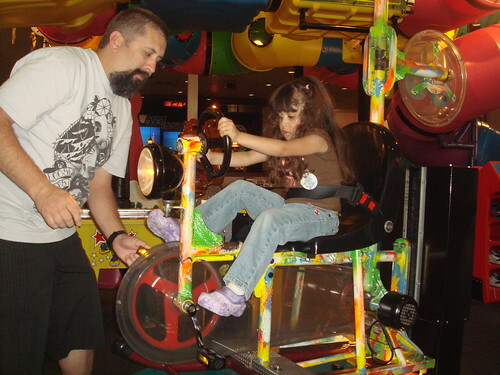 See PR Dad and I DO NOT enjoy Chuck E. Cheese. The Phi had gone once with my parents when she was about 14 months old but those dang commercial had her brainwashed. 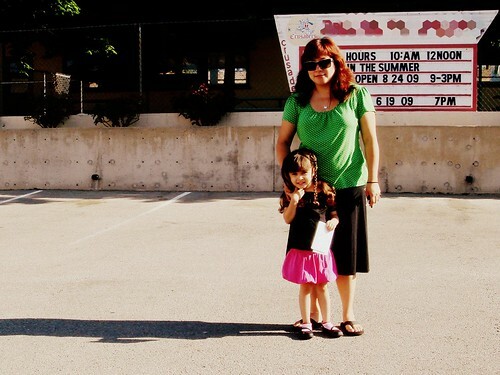 She was convinced that she LOVED Chuck E. Cheese and that it was her absolute FAVORITE place to go. So we struck up a deal. If she could learn to write her first name with no help we would take her. She took the deal, we shook on it and I figured I had bought us one more Chuck E. Cheese free year. I totally underestimated my child's desire to go to Chuck E. Cheese and her intelligence because before I knew it she was signing her own name on everything. 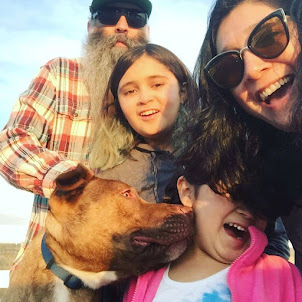 So not one to go back on a deal, and because she had gotten through her first year of pre-school we took her to the dreaded House of the Rat on Wednesday night. The Phi a good time, but I swear this place brings out the worst in children. I saw children running around literally just destroying things. Even The Phi started to throw some attitude and I had to take her to the restroom to give her one of my awesome Mom lectures complete with "if this attitude does not stop we will walk right out of here and never ever ever EVER come back". 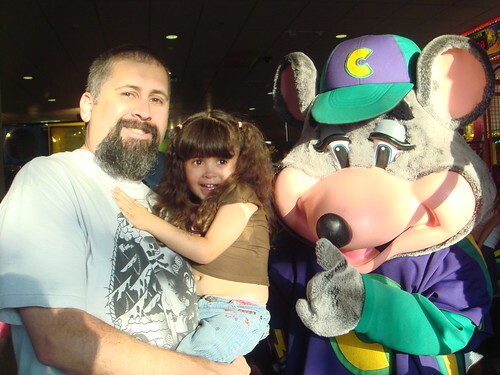 I don't know if it was just the one we were at but Chuck E. Cheese is not like I remember it as a child. The one we went to when I was a kid was AWESOME. This one was ghetto with dirty tables, smelly restrooms, and broken games. Oh well no one can say I go back on my word. Thursday The Phi had her last day of school. I got a little emotional because this would be her last time at that school. (We enrolled her in a new school for September). She said good-bye to her teachers and gave them each thank you cards. but I think the 3 hours we spent at Chuck E. Cheese totally proves that. Love this post! Don't you remember how much WE used to love the House of the Rat (love that!) when we were kids. I have yet to take Elias. We're contemplating have the 5th Bday party there. Ugh.